This Easter more of us are choosing to stay in the UK - is the food and accommodation good enough to make us keep doing that? We're hearing a lot about problems with video gaming. Just last week Prince Harry criticised the makers of Fortnite for being "irresponsible" in creating such an addictive game. 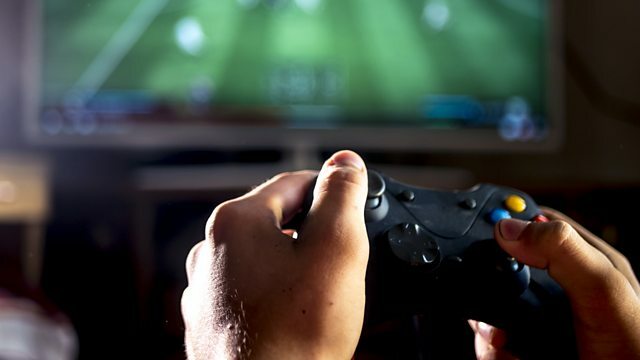 The World Health Organisation has formally listed gaming addiction as a behavioural problem. And here in the UK, there's an on-going government enquiry into the immersive and addictive nature of technologies. In the face of this a new book argues we are being too hard on the video gaming world. Winifred Robinson will talk to the author - the psychologist Pete Etchells. Instagram is changing the way we shop. It's all about photographs so it's become a place people go for design and fashion inspiration. Now small designers and retailers are using it to provide a personal shopping service to rival what used to be available in the best shops. We'll hear how its worked for Kent designer Emma Brewin, whose faux fur hats have been photographed on Rita Ora and Miley Cyrus and talk to fashion writer Lucy Morris about how it might affect the clothes we wear and the way we shop for them. New research suggests we're choosing to stay at home this Easter rather than brave the airports and fluctuating currencies abroad. What are the top spots to visit and what are they doing to welcome us? And is UK holiday accommodation and food good enough to tempt us away from foreign trips in the long term?